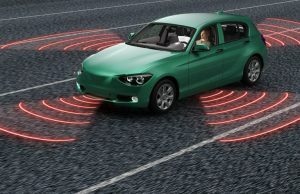 Collision repairs are at risk of a loss of volume prompted by the rise of advanced driver assistance systems, including the autobraking ramping up across the U.S. fleet. 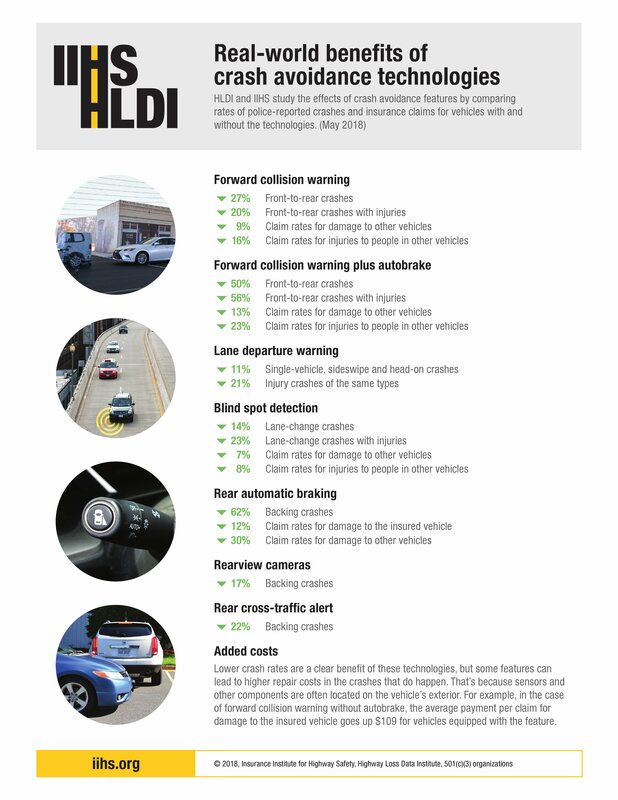 CCC predicted in 2018 and again this year that ADAS is leading to what will be a 5 percent drop in vehicles in crashes from a baseline 1995 statistic by 2022. 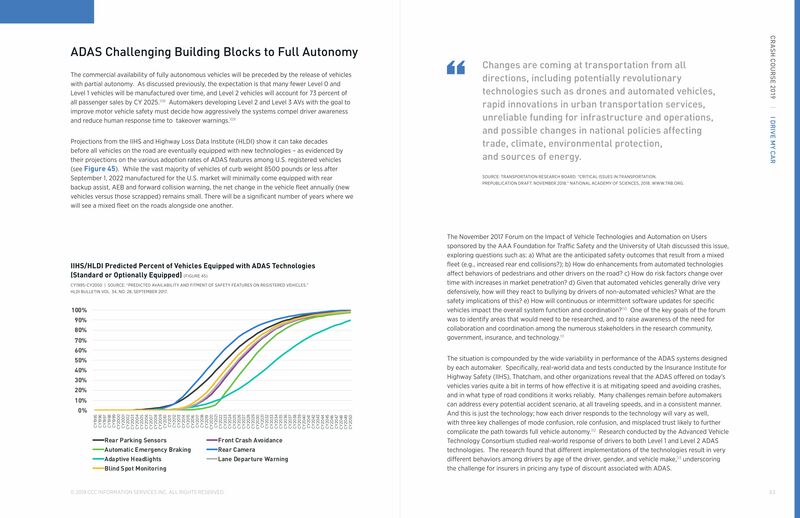 ADAS starts to more significantly cut crash volume from that tipping point, with volume down 20 percent by 2030 under CCC’s projections. 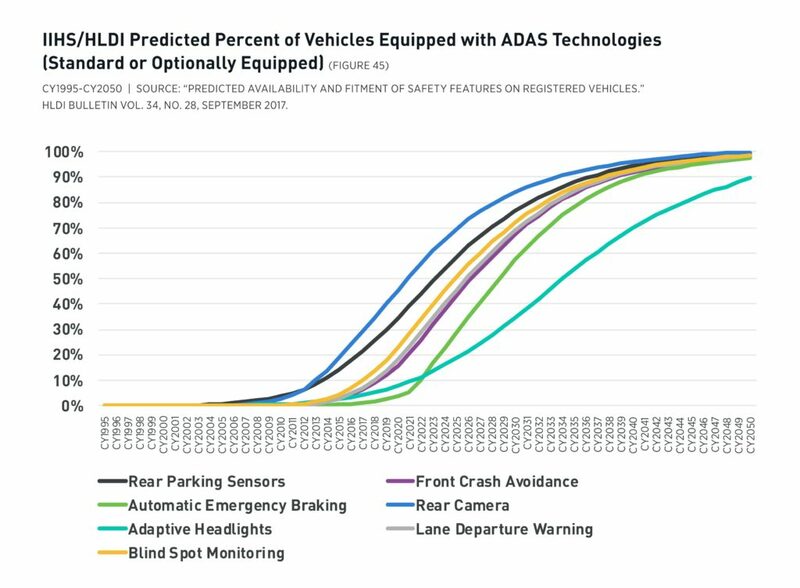 The Insurance Institute for Highway Safety has consistently found ADAS technology cutting crashes, perhaps most notably the autobraking OEMs will make standard as of 2022. The U.S. fleet itself remains aged, with the average vehicle between 11 and 12 years old and not necessarily sporting any ADAS. However, the average repairable vehicle is just 5.9 years old and the average totaled car 9.66 years, under CCC’s data. 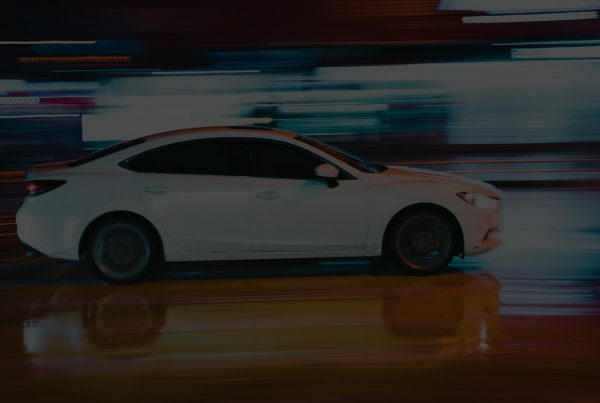 This means repairers could in theory be facing a smaller pool of potential customers more prone to having newer technology and potentially avoiding more crashes than the overall vehicle fleet. Of course, as CCC observed, pot legalization, distracted driving and other factors might offset this decline. In any case, a sort of ADASaggeddon seems to be creeping up on the repair industry, where frequency plummets but severity might not climb enough to keep every shop fed to the degree it’d like. “We are starting to see some of that potential” reduction in crashes, CCC’s “Crash Course” author, analyst and director Susana Gotsch said in an interview this month. But despite ISS Fast Track Plus reports of frequency reductions (except in commercial) in 2018 and three of the nation’s top 4 auto insurers describing the same, Gotsch said she didn’t think the industry was truly over that ADAS-decimating-frequency cliff yet. Gotsch credited ADAS with some responsibility for a frequency decline, but pointed to other factors which could influence the statistic. Miles driven was “essentially flat,” and the car sales seen today involve more households buying a third vehicle, Gotsch said. The 2017 National Household Travel Survey found the percentage of households with at least three vehicles rose to 24.4 percent from 22.7 percent in 2009, while the percent of two-vehicle households fell 3.1 percentage points. Congestion was another issue, according to Gotsch. Data suggested that people weren’t necessarily commuting longer, but they were spending more time in their vehicles, she said. This could boost or reduce frequency depending on the scenario, according to Gotsch, though she noted ADAS can be helpful in preventing gridlock-scenario crashes. No. 4 Allstate reported its gross auto property damage frequency fell 2.6 percent and paid claim frequency dropped 1.7 percent in 2018. Its frequency decreases the prior year were even larger. No. 2 GEICO’s frequency in 2018 for “property damage, collision, and bodily and personal injury protection” fell 2-4 percent from 2017, compared to between 0-3 percent decline that year. No. 3 Progressive said its entire personal auto frequency decreased by 3 percent in 2018, the same proportion as in 2017. 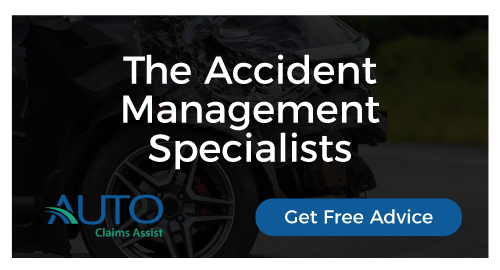 “Personal auto results were helped in large part by a slowdown in claim frequency across collision, property damage liability and comprehensive,” CCC wrote in “Crash Course,” citing ISS Fast Track Plus data. 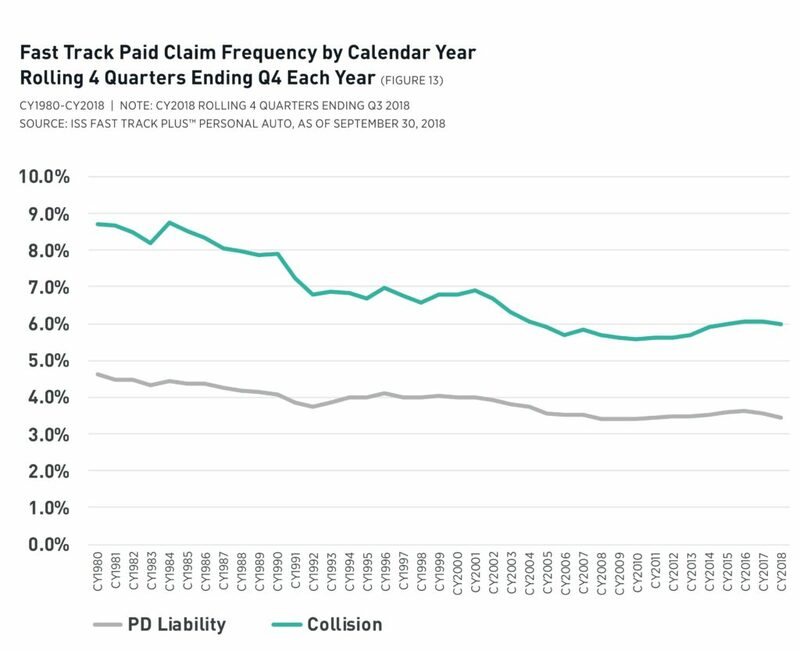 “Auto claim frequency has trended down for many decades, but recently rose with the recovery after the Great Recession. In 2017 and 2018, it began to fall again.